I just got the RME 9632 PCI soundcard to use as a digital transport through SPDIF. 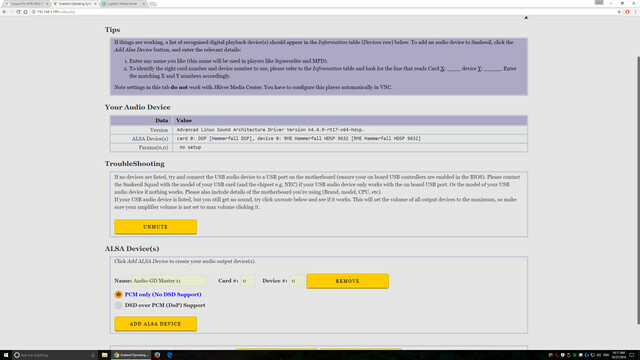 The card does support ALSA drivers but does not show up on the listed hardware. Can you help me get the OS to recognize the card? Interesting card. No problems, I assume you're using a 64 bit version of Snakeoil? 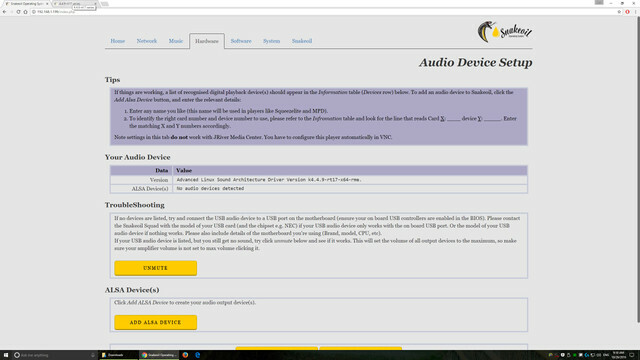 edit: Built a 64 bit kernel to support all RME audio cards, download here. Let me know how it goes. Yes, I'm using 64bit with the latest beta. I just upgraded the kernel to rme version but still not recognized. Can you verify from the home page that you're using the RME kernel? (27-Oct-2016, 07:03 AM) agent_kith Wrote: Can you verify from the home page that you're using the RME kernel? Can you run this and send the output to me? Looking at this, the Hammerfall 9632 is supported. But perhaps I compiled the wrong module, your card should be using module hdsp, and not the ones that begin with rme. I'd rebuild the kernel with the correct module later tonight and it should work.. Good to see kernel updates working again. Lots of things to do once we start to experiment what differences kernel tweaks can make. You may need to install additional firmware to get extra functionality (I'm guessing mainly studio recording features). Let me know how it goes. But now all I get is statics. I think I may need to run the hdspmixer and mute all ports except SPDIF?